ARCHAEOLOGISTS have uncovered “mind blowing” Roman architecture from the Biblical city of Corinth in a stunning discovery. For Christians, the ancient Greek city of Corinth holds special Biblical significance as two letters from Jesus’ disciple Paul feature in the Bible’s New Testament – the books of 1 Corinthians and 2 Corinthians. 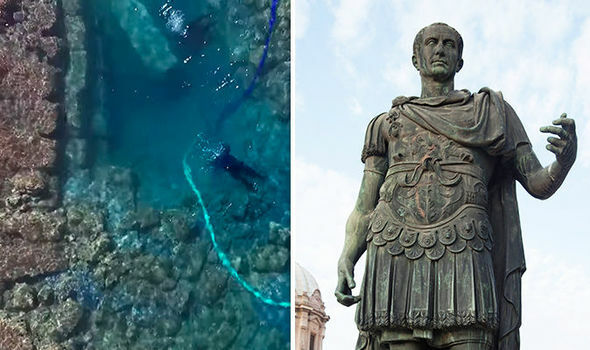 Paul visited the ancient city while it was under Roman rule.Archaeologists have uncovered traces of Roman engineering and ancient buildings at the now underwater ancient Corinth port of Lechaion. 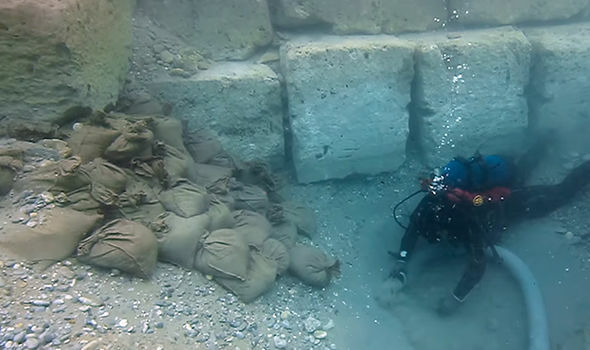 The port, located on the gulf of Corinth, was previously one of two that connected the city to trade networks in the region that allowed the area to flourish. 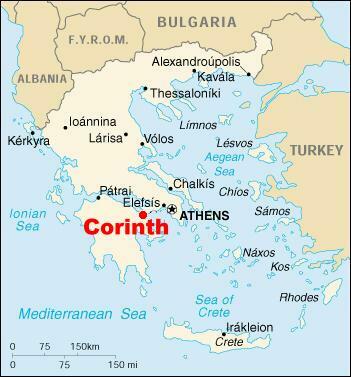 Corinth was destroyed by the Romans in 146 BC during a conquest of Greece but the area was then rebuilt along with its harbours in 44 BC. Under the leadership of Julius Caesar, the region become home to one of the most important ports in the eastern Mediterranean due to its fundamental location.A Greek proverb previously stated that “not everyone can afford to go to Corinth”, demonstrating the luxury of the region that prospered affluently. The archaeologists also believe they have uncovered the remains of an ancient lighthouse which was depicted on coins from that time. Guy Sanders, who previously led projects at Corinth, said: “The island monument was destroyed by an earthquake between 50 and 125 AD. The port of Lechaion was hit by a deadly earthquake in the 6th or early 7th century AD – however wooden foundations in the area are well preserved in addition to artifacts that include fishing lines and hooks, ceramics and wooden pulleys.Layers of sediment have allowed ancient materials such as wood and bones to be preserved to an incredible standard – with only minor signs of decay despite their vast age. Not only are the words of St Paul immortal, but now we have a thousand and one glimpses into everyday life just a few decades after the life of Christ.